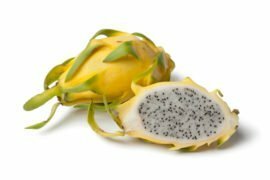 Yellow Thai Dragon Fruit is a hybrid variety that comes from Hylocereus megalanthus and another unknown Hylocereus species. 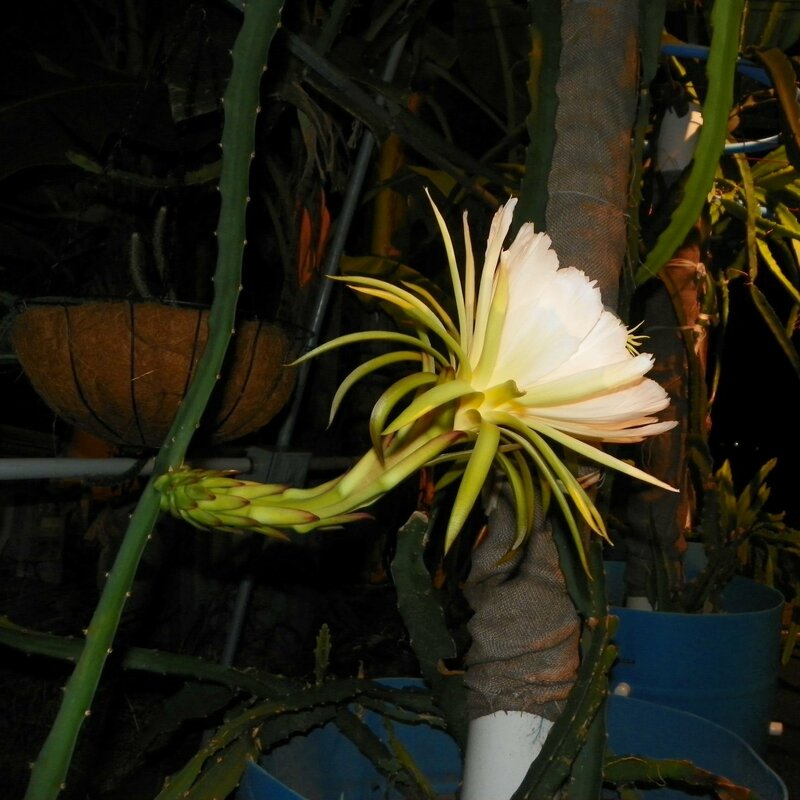 It is a self-pollinating and very fertile variety that will set fruit without hand pollination. 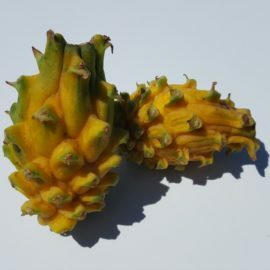 The fruit is small in size and typically weighs .5 pound. 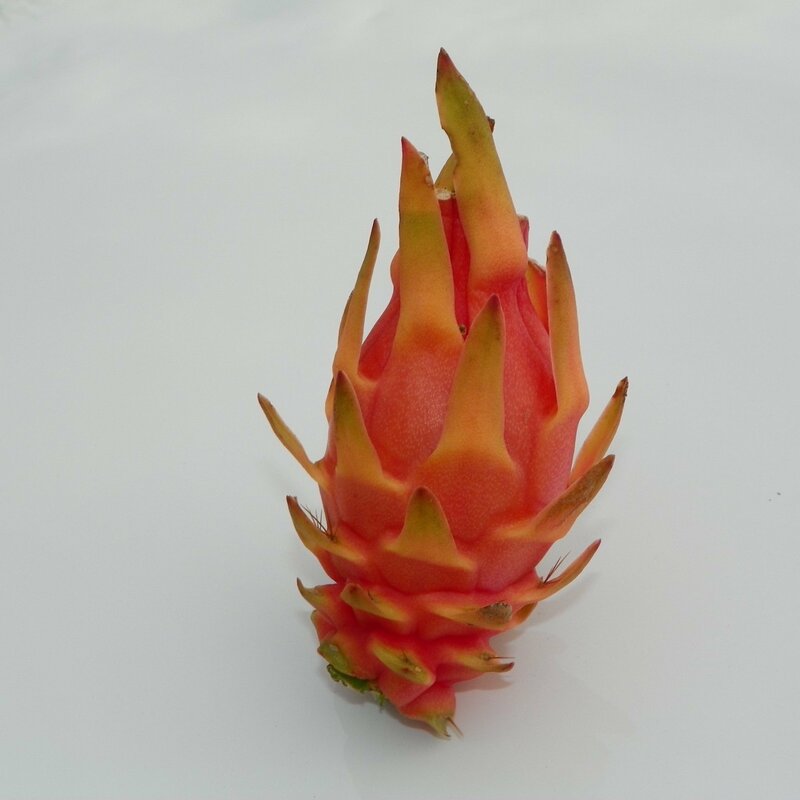 The first fruit at Spicy Exotics had a Brix rating of 18.5, but internet research states this variety can get in the low twenties. 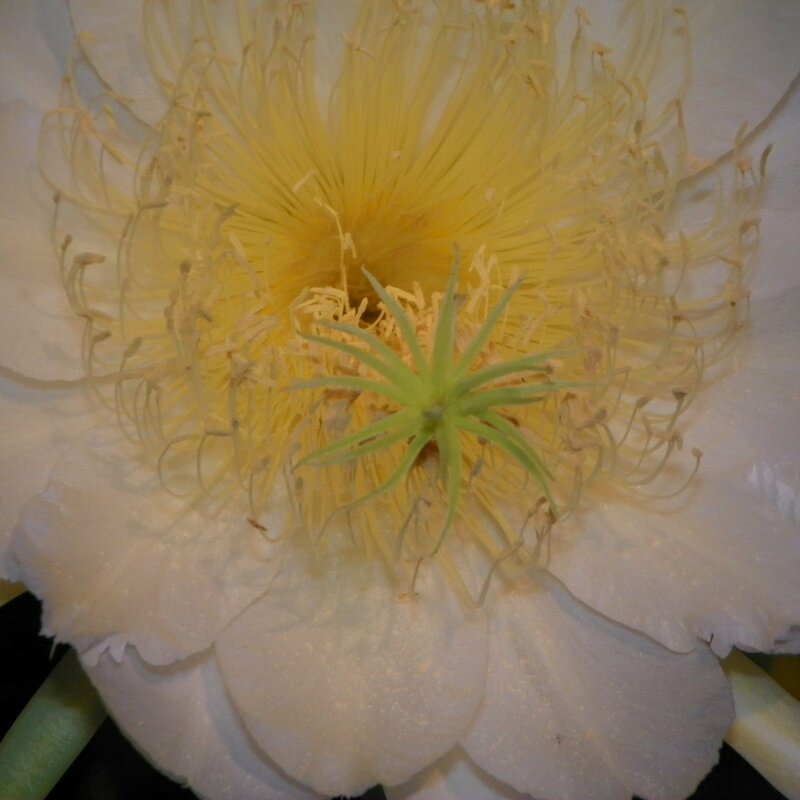 The flavor has a soft sweetness and lemony aftertaste. 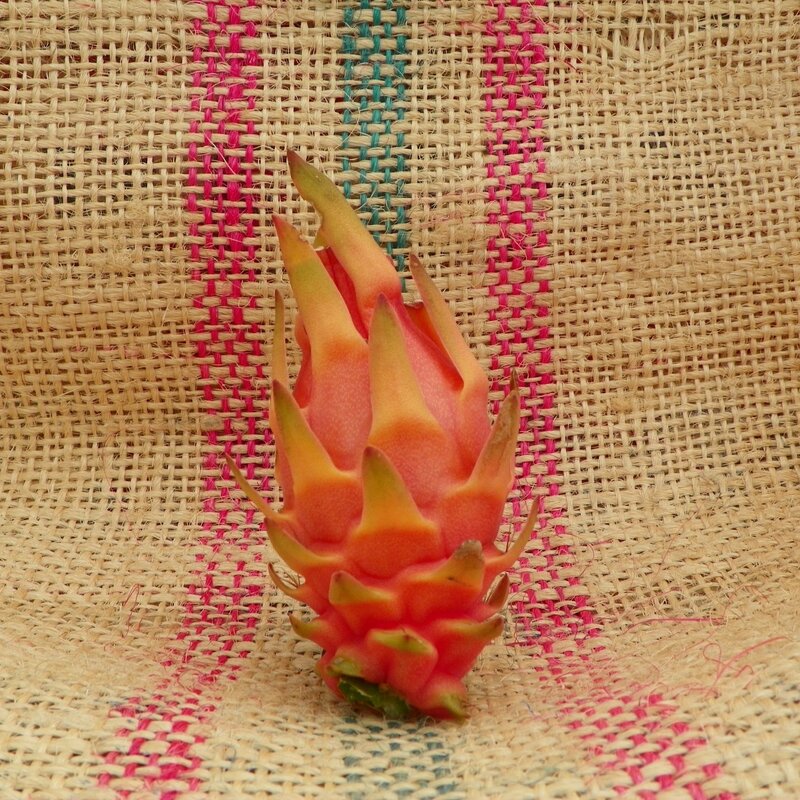 It reminded me of a mild pink lemonade, quite refreshing. The outside skin of the fruit is a thick soft pink color with yellow fins when fully ripe. 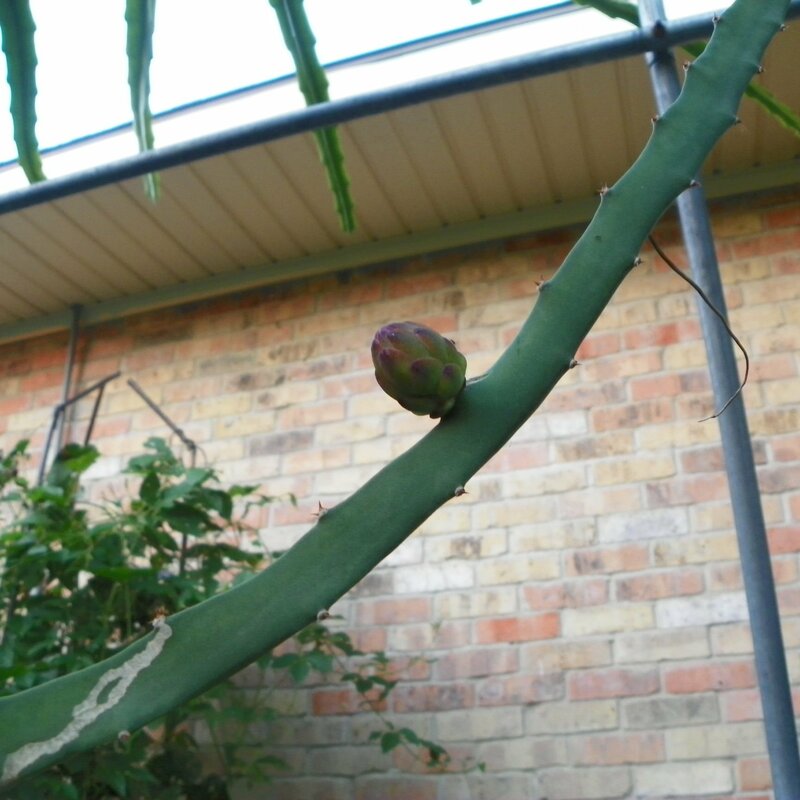 At the base of the fruit long thorns are usually present and this is likely from the Hylocereus megalanthus in the cross. 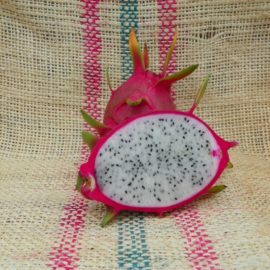 The flesh is a pure white with small crunchy seeds. 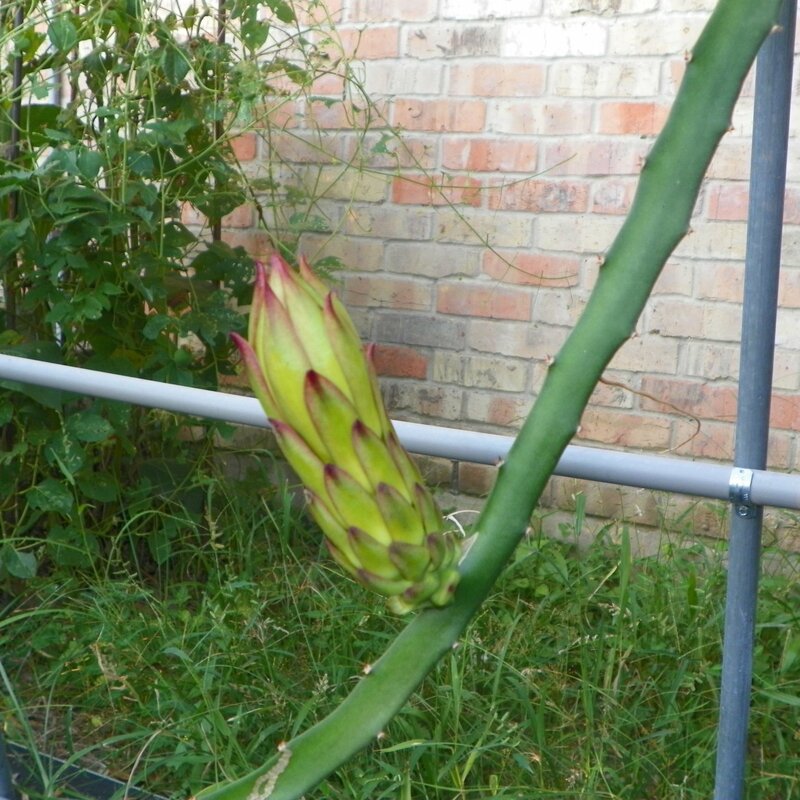 Flower bud to flower took 23 days and from flower to fruit took an additional 82 days. 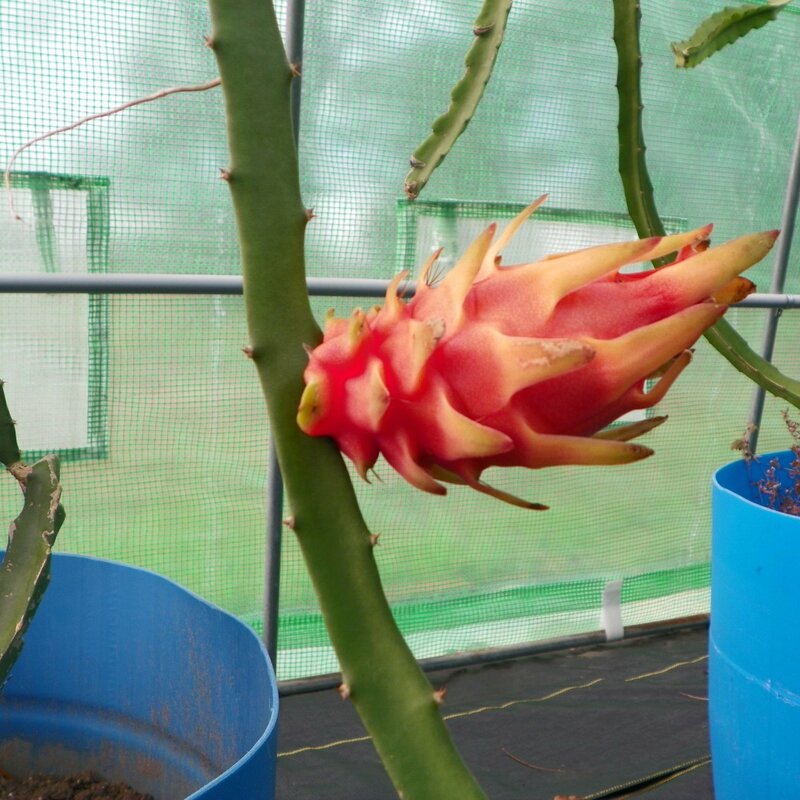 This process started in the fall and continued into the winter months. 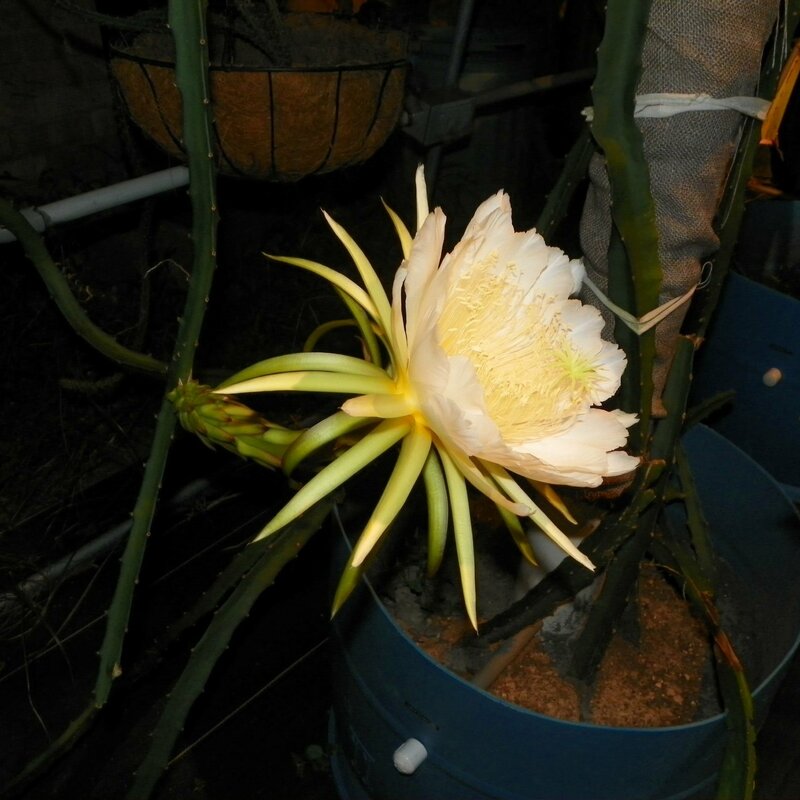 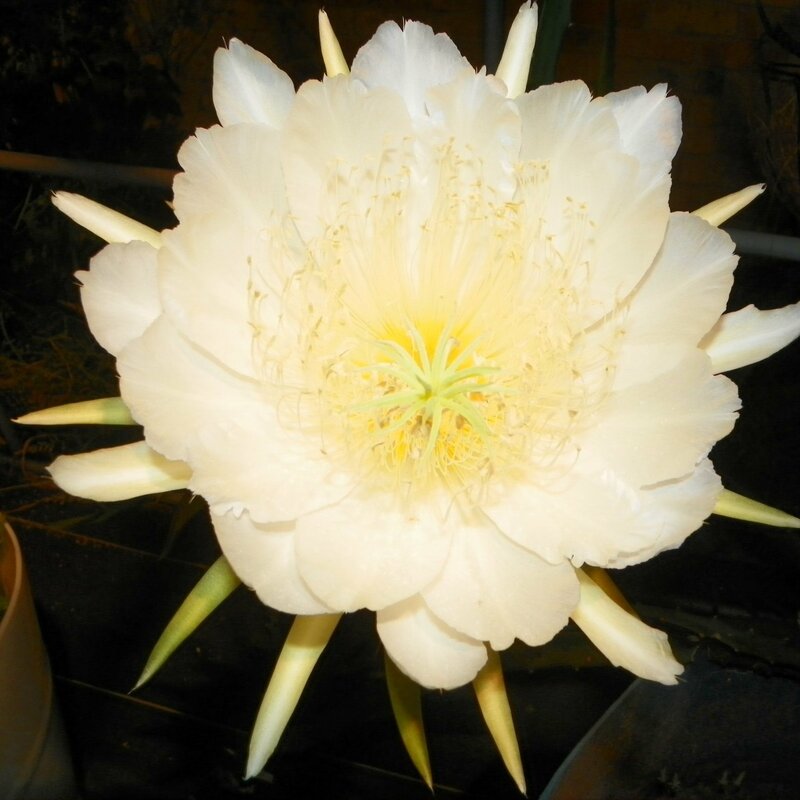 Plant growth and flower of Yellow Thai resemble Hylocereus megalanthus, the Yellow Dragon Fruit. 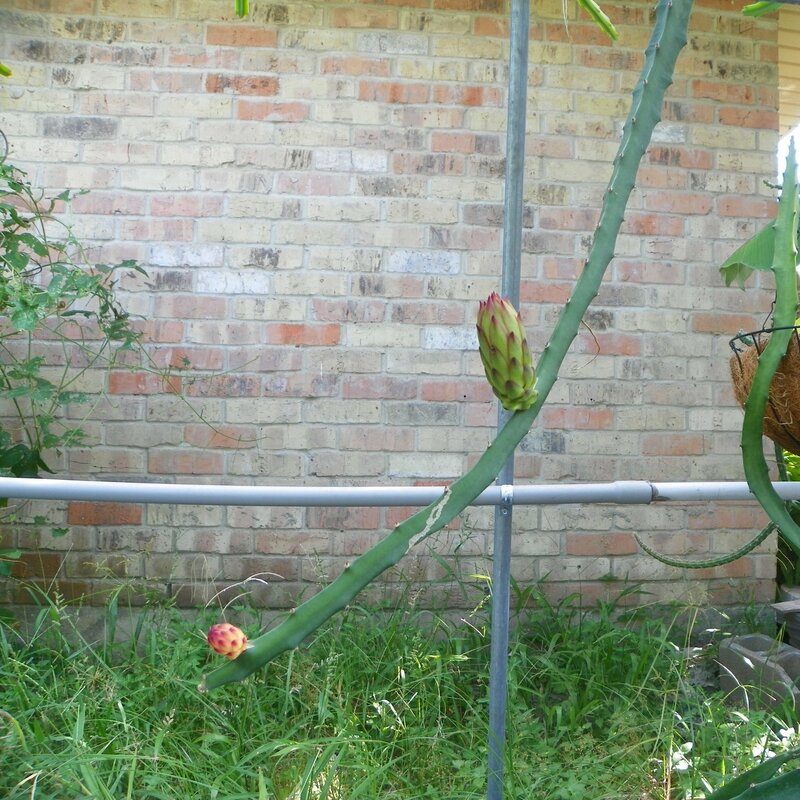 In fact, it requires nearly identical care during the winter months. 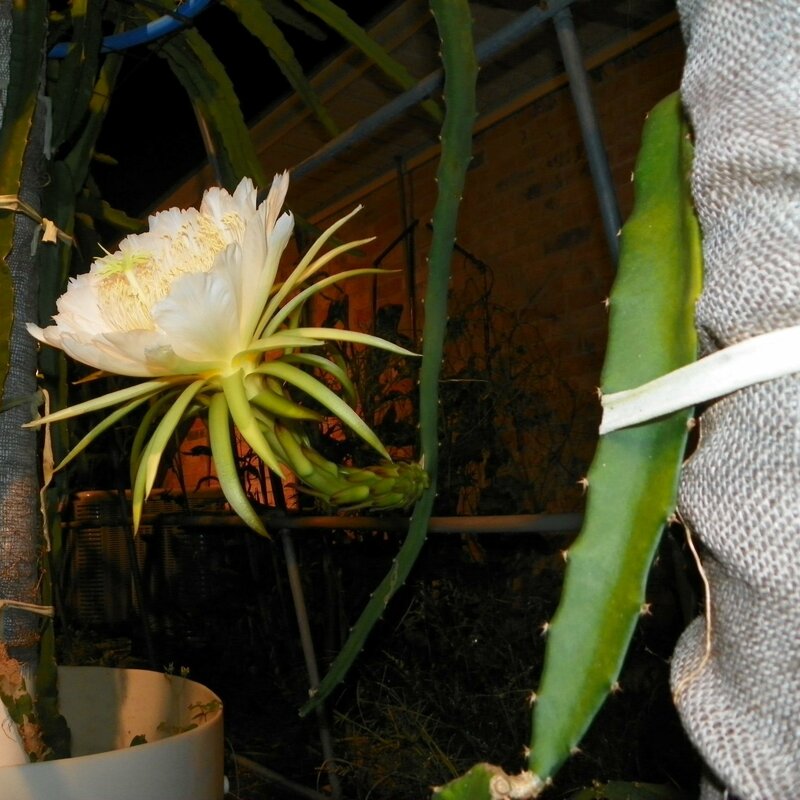 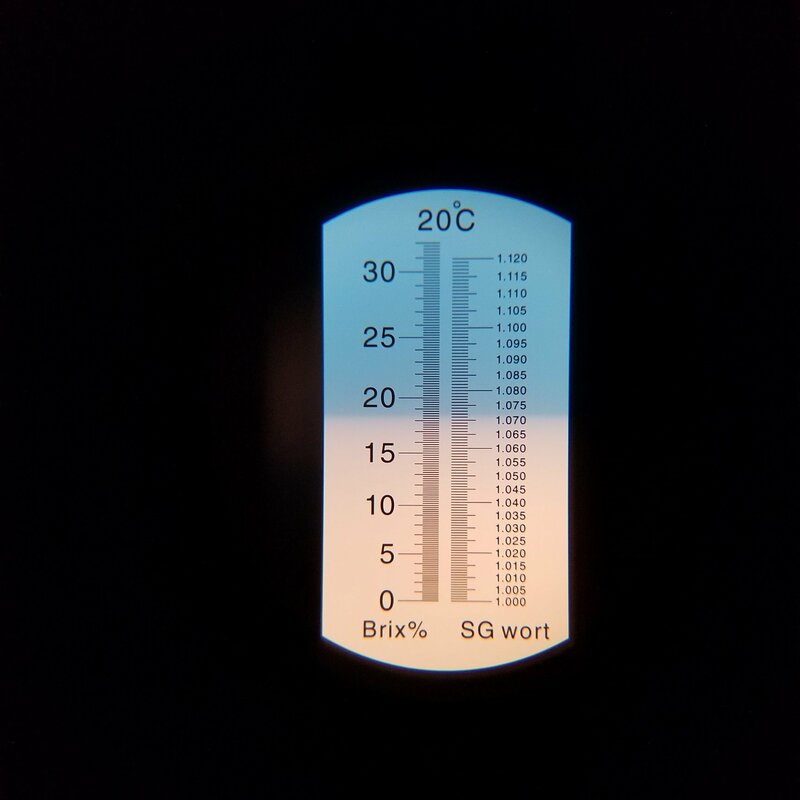 When temperatures drop below 40 degrees protection is definitely needed, however during the summer months it performs nicely in 100-degree temperatures in a semi-shaded location. 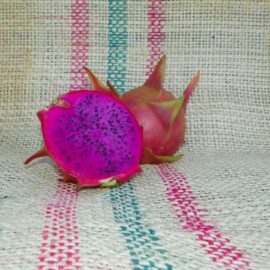 Because of this, we expect this rare variety to become very popular in the Dragon Fruit community. 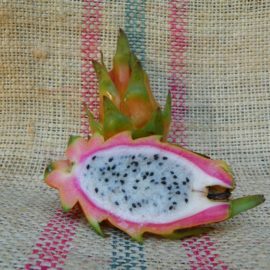 This Yellow Thai Dragon Fruit variety was collected from a grower in California.